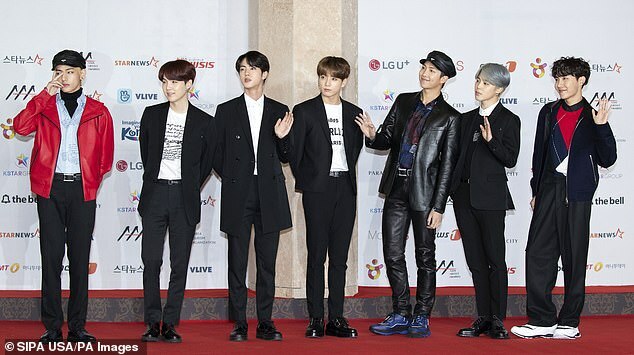 Korean boy band BTS has emerged as the winner of an online reader’s poll for TIME Person of the Year 2018 beating a raft of other artists, world leaders and politicians to rise to the top. The seven-member K-Pop sensation is made up of Jimin, 22; Jin, 25; Suga, 25; J-Hope, 24; RM, 24; V, 22; and Jung Kook, 21. They have been at the top of the poll, designed to reflect who readers think had the greatest influence on the events of the past year, for a number of weeks. Millions have cast votes, according to TIME. Coming in at second place is Planet Earth narrowly trailing BTS in the poll by 0.12%. 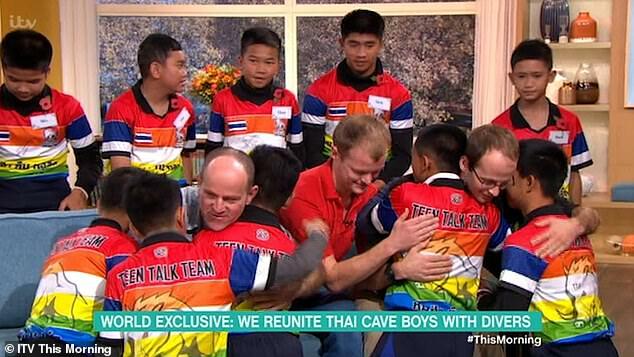 The Thai cave divers scooped third place. South Korean president Moon Jae-in was 4th and former first lady, Michelle Obama, 7th. She was beaten by Mohammed Bin Salman, the crown prince of Saudi Arabia who’s hit the headlines for his alleged involvement in the brutal murder of Washington Post reporter Jamal Khashoggi, who came in at 6th. President Donald Trump was 18th. Just outside the top ten were tennis player Serena Williams, Meghan Markle, the Duchess of Sussex, Canada’s prime Minister, Justin Trudeau and Pope Francis. 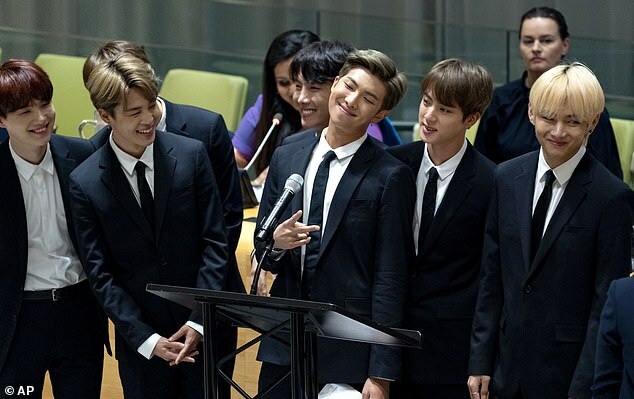 BTS, whose name stands for Bangtan Sonyeondan in Korean and Beyond the Scene in English have had a rapid rise to fame and have achieved a number of firsts. Along with setting numerous records across Asia, the band is also the first Korean act to sell out a U.S. stadium. They’ve done so without catering to Western audiences. Only one of their members speaks fluent English, and most of their songs are in Korean. The band are proof that music ‘doesn’t have to be English to be a global phenomenon,’ Steve Aoki, a U.S. DJ who has collaborated with BTS, told TIME. Every year, TIME selects the most influential person of the year, noting who it believes had the greatest impact on the news and the world over the past 12 months. TIME’s choice for the 2018 Person of the Year will be revealed on December 11. Past winners have included President Bill Clinton, Pope John Paul II, Rudy Giuliani, ‘You’ and Donald Trump. 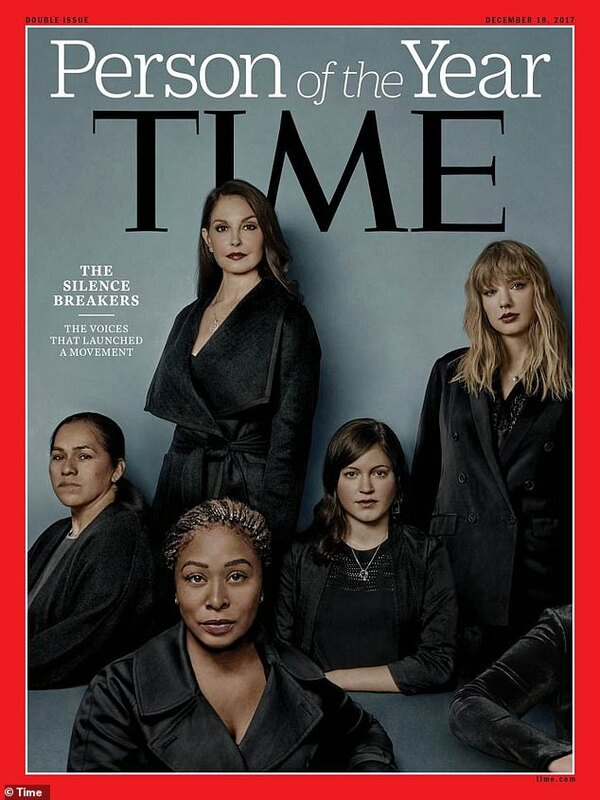 Last year’s winners were The ‘Silence Breakers’ who ignited the anti-harassment #MeToo movement. The final decision as to who is named the 2018 Person of the Year will be made by TIME’s editors.